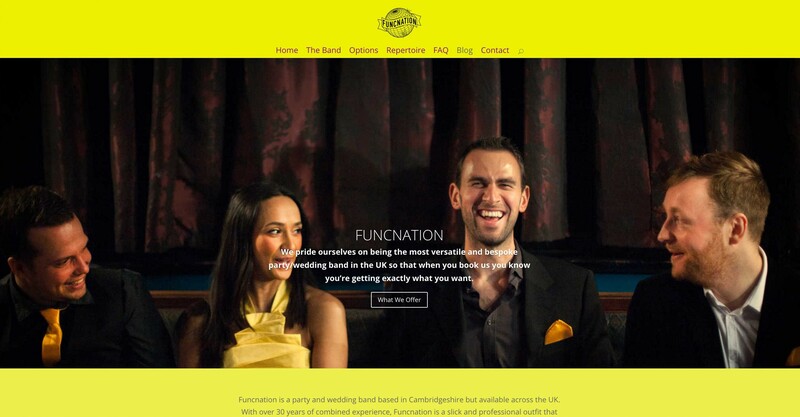 Function are a funky party band who wanted a website that gives potential clients a great idea of what they sound like, look like, and the different music they can play at weddings. Jamie had a colour scheme he wanted to use and we decided that the best way to present the information was on one page. I found James to be a pleasure to work with. He has creativity and an understanding of how to cater your site to the needs of users. The whole process was easy, no major hiccups along the way and the site was finished before the deadline I set. James has good business sense, he steered me away from a couple of faux pas in terms of online advertising and taught me how to get the most impact for my advertising budget. I have noticed a significant increase in interest since enlisting his expertise. © Jimi Mac Web Design 2016.